On May 21, 2013, Iran's Guardian Council, the powerful 12-member body charged with vetting hopefuls for the Iranian presidency, determined that Iran's former president, Ayatollah Hashemi Rafsanjani, 78, was unfit to run again for the position due to his advanced age. The fact that Ayatollah Ahmad Jannati is Rafsanjani's elder by nearly a decade and is the chairman of the same council that disqualified the former president indicates that there are probably other motives behind the decision. Rafsanjani was one of the most trusted lieutenants to Ayatollah Khomeini, the leader of Iran's 1979 revolution that ushered in the Islamic Republic. Furthermore, Rafsanjani was Speaker of Parliament in the 80s and served two terms as president (1989-97). He currently heads the Expediency Council, the body empowered to arbitrate legislative disputes between the parliament and the Guardian Council. A seasoned politician with such credentials and youth (by comparison to Jannati) had a seemingly strong résumé for the position. So why was he prevented from standing in the election? Many analysts have rightly suggested that personal rivalries within Iran's centers of power are to blame. Some have concluded that there was a falling out between Ayatollah Khamenei, Iran's current Supreme Leader, and outgoing president Mahmoud Ahmadinejad, and the former now seeks a more loyal, obedient, and malleable president. That the eight approved candidates are very close to Khamenei gives credence to this point. Accordingly, Haddad Adel is the father-in-law to Khamenei's son, Ali Akbar Velayati is the leader's top advisor, Saeed Jalili and Hassan Rohani are both Khamenei's appointees to the powerful Supreme National Security Council, Mohammad Baqer Qalibaf is a former police chief appointed by Khamenei and currently serves as the Mayor of Tehran, Mohsen Rezaei is his longest serving chief of the Revolutionary Guards (1981-1997), and Mohammad Gharazi is a figure close to the leader. The most important reason for disallowing Rafsanjani from standing, however, is rooted in the unprecedented post-election turmoil of 2009. In the summer of 2009 and in the weeks before the presidential election, thousands of supporters transformed the campaign of their candidate, reformist and former prime minister Mir Hussein Mousavi, into a street movement. Some even used the campaign as a cover to demonstrate against the government as a whole. So threatening was this movement that on the eve of the vote, Brigadier General Yadollah Javani, the Deputy Commander of Political Affairs for the Islamic Revolutionary Guards Corps, accused the campaign of being part of a "velvet revolution" and promised that "any kind of velvet revolution will not be successful in Iran." Subsequently, when the results were announced and the incumbent Mahmoud Ahmadinejad was declared the winner, many Mousavi supporters emphatically alleged fraud and launched a protest movement that drew millions onto the streets. On June 15, 2009, for example, Tehran's mayor Mohammad Baqir Qalibaf (the same Qalibaf now running for president) estimated that three million people marched on the capital city alone. Protests of this magnitude were undoubtedly the largest since Iran's historic 1979 revolution. The protests may have reached a bitter end at the hands of a brutal crackdown, but the movement's long-term effects continue to haunt the authorities. Until 2009, the Iranian government always urged the electorate to participate in any and all elections. The fear was that low voter turn-out would be a vote of no confidence for the Islamic Republic. Today, and as a consequence of 2009, the Iranian government's first priority is not a free or fair election, or even one in which a majority of the electorate participate. The priority now is a quiet and uneventful election and that's the main reason why Khamenei loyalists are allowed to run and Rafsanjani is disqualified. If only the loyalists run then the worst case scenario for the Iranian government is a low voter turn-out. But if Rafsanjani were allowed to run then the outcome is too dangerously unpredictable for the authorities. 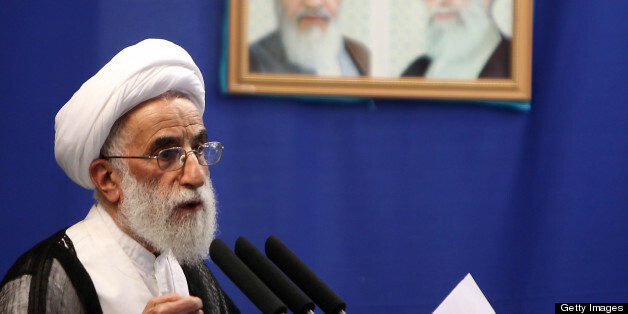 Indeed, in 2009, Rafsanjani backed the protest movement, Mousavi, and the other reformist candidate, Mehdi Karroubi, thereby garnering the favor of protesters. What's more, when the Iranian government flooded the streets with security personnel to stamp out the movement, protesters began strategically using special events like political holidays or Friday prayers as a cover to come out and renew their demands to annul the election results and protest the government as a whole. They even used the occasion of Rafsanjani's Friday sermon more than a month after the election to continue their protests. The Iranian government wants to prevent the simmering opposition from surfacing and using a Rafsanjani candidacy as a cover to reignite 2009's protest movement. This is an especially pressing point in the context of regional uprisings that have in recent years challenged and in some cases succeeded in ousting their autocratic leaders. Lastly, this may quite possibly be the final presidential election in Iran as Khamenei has indicated his preference for scrapping the presidency in favor of a parliamentary system where the parliament elects a premier. This too may be a consequence of 2009 since it is far more difficult for the opposition to rally around one candidate when it is the parliament and not the electorate that chooses the premier. Naturally, all this does not bode well for democracy in Iran. Pouya Alimagham is a PhD candidate at the University of Michigan's Department of History. You can follow him at @iPouya.